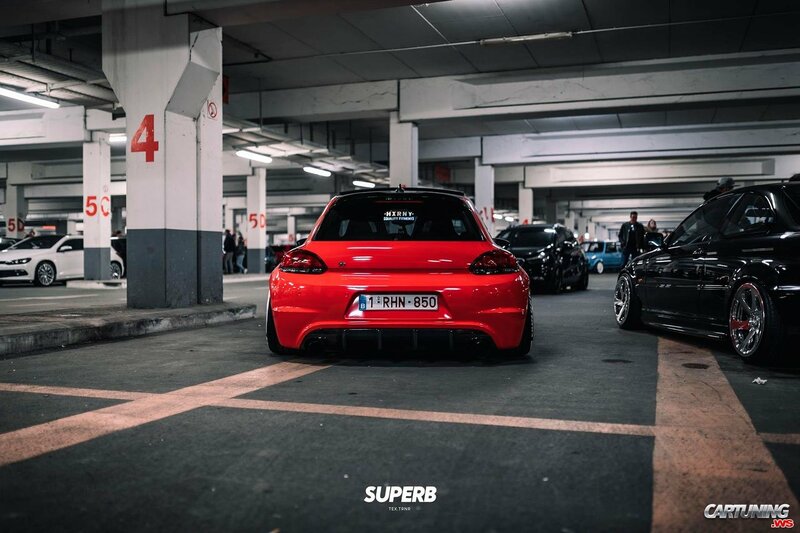 Red Scirocco 3 from Belgium. Almost all these cars are FWD, but wide fenders under big rear wheels give feeling that it's powerful RWD or AWD car. Looks awesome. Third Scirocco does not need any widebody kits.